The federal government is threatening to withhold $65 million in training funds to South Australia over a claimed pro-TAFE bias in the state’s new student funding plan. Under the new WorkReady policy, TAFE will be assured an increased share of contestable funding at the expense of private training providers. The Assistant Minister for Education and Training, Senator Simon Birmingham said the plan may be in breach of the national partnership agreement, signed with the Commonwealth in 2012. “Premier Weatherill willingly signed on to an agreement in 2012, with then Prime Minister Gillard, to give students and employers more choice, through a more equal availability of funding to support training places linked to job outcomes, regardless of who the training provider is,” the Minister said. “My approval of the $65 million in funding is subject to the Commonwealth being satisfied with the content and delivery of agreed Implementation Plans to deliver on terms of the agreement Mr Weatherill signed,” he said. Sydney TAFE has entered into an agreement to provide a consultancy for the establishment of a private vocational education and training (VET) college in Kuala Lumpur. The initial focus of the college will be on providing TAFE qualifications for courses in Automotive and Marine. Sydney TAFE began discussions with ENCAPITAL on behalf of the Malaysian University of Science and Technology (MUST) in January with regard to providing a consultancy service for the establishment of the college. The qualifications developed and delivered will be Sydney TAFE qualifications and will be accredited by the Malaysian government. The NSW Labor Opposition has proposed an inquiry into the state’s TAFE system. The Shadow Minister for Skills David Harris called for the inquiry, which was moved by the Leader of the Opposition in the Upper House Adam Searle. If supported by enough crossbenchers, it will examine course cuts, fee increases, private providers and recent IT issues. “The Baird Government has taken us down the road of dismantling the TAFE system without understanding the contribution it makes to our economy,” Mr Harris said. “So long as courses are cut, fees rise and TAFE’s future funding is under a veil of uncertainty, our young people and our economy will suffer,” he said. Canberra Institute of Technology is to get a new $11 million campus at a site in Tuggeranong, with courses to begin in 2016. Education Minister Joy Burch said the shift to Tuggeranong was part of the relocation of students from the ageing Woden campus, with the government also considering moving what remained of CIT facilities in Woden closer to the town centre. According to the Canberra Times, the new campus will accommodate hundreds of students and focus on business management and accounting. CIT acting deputy chief executive Nicole Stenlake said there were about 100 staff and several hundred students at Woden. No decisions had been made on the future of the Woden campus but CIT would consult with staff, industry and the community. Over the last two weeks TDA has hosted members of Taiwan’s Workforce Development Agency and the Industrial Technology Research Institute (ITRI). With the support of Kangan Bendigo TAFE, TDA is now managing the second of two contracts with ITRI, providing high level consultancy services and teacher training programs. The delegation received briefings from ASQA, TEQSA, NCVER and IBSA as well as site visits to three TAFE institutes. Last Tuesday a formal roundtable was convened to review the progress of the partnership. Melissa McEwen from the Department of Education also provided an update on several benchmarking and course development projects the department is running in the Asian region. The next stage of the project will focus on developing a framework to establish partnerships between TAFE institutes and Taiwanese colleges and universities delivering advanced technical skill programs. TDA participated last week in the Australia India Education Council’s (AIEC) skills working group. Chaired by Megan Lilly from the Australian Industry Group, the working group welcomed Minister Rajiv Rudy, India’s Minister of State for Skill Development and Entrepreneurship. As well as providing an update on AIEC’s achievements, the working group considered a range of strategies to increase the presence of Australian training providers in India and to support India’s fast developing skills sector. TDA is working with Sydney TAFE to deliver trainer workshops in Indonesia, with the first to be held in Jakarta this week. The workshops are part of a Millennium Challenge Account project led by Booz Allen Hamilton and aim to develop procurement skills among selected government departments in Indonesia. Twenty modules on ethical procurement practices are being developed and the trainers will be given extensive guidance and practice in delivering these modules to relevant managers and officers. TDA Chair, Stephen Conway, last week attended the annual general meeting and strategic planning workshop for the World Federation of Colleges & Polytechnics. Held in Winnipeg, Canada, Stephen also attended the annual conference of Colleges and Institutes Canada, formerly known as the Association of Canadian Community Colleges. Commonwealth, state and territory education ministers have considered a new framework for vocational education and training (VET) in secondary schools. The meeting of the Education Council in Brisbane on Friday received an update on key priorities being undertaken by the Council’s Schools Vocational Learning and Training Working Group. “Government departments, Catholic and independent education agencies, industry and training sector bodies are working together to strengthen collaboration between schools, training providers and employers, raise awareness and encourage best practice, and use evidence and research to inform future policy and actions to improve the quality of vocational learning and VET delivered to secondary students,” the Ministers said. See the Education Council Communiqué. The Disability Standards for Education 2005 seek to ensure that students with disability are able to access and participate in education on the same basis as students without disability. The federal Minister for Education and Training, in consultation with the Attorney-General, is required to conduct a review of the effectiveness of the standards every five years. Consultancy firm, Urbis, has been commissioned to undertake an independent review of the standards. 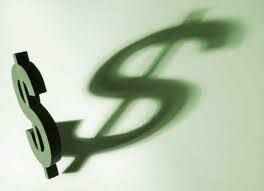 The focus will be on the questions put forward in a discussion paper. These go generally to the effectiveness of the standards, awareness of the standards and opportunities to make improvements. Julie Hare COURSE fees for graphic design at Canberra Institute of Technology have risen 1000% in five years, an advanced diploma costing double that of a bachelors degree at nearby Canberra University. Pat Forward, national TAFE secretary for the Australian Education Union, said government reforms under the Council of Australian Governments was driving irrationality in policy, with the removal of subsidies for higher-level vocational qualifications forcing providers to offer courses on a full-fee recovery basis. Andrew Trounson LOCAL students are gradually becoming more adventurous and prepared to move cities to attend university. Stephen Matchett IT looks like Senator Carr is putting distance between him and advocates of a reinstated cap on undergraduate places. Not that he ever advocated such a thing, you understand. It’s just that his talk of a renewed emphasis on quality created space for the most wishful of thinking when he became higher education minister last month. Julie Hare and Andrew Trounson CLAIMS that the demand-driven system is affecting quality have been dealt a blow by new government data. Nationally, attrition rates improved from 15% cent to 12.8% between 2005 and 2011 but up marginally from 12.5% in 2009. Sue Neales SIX regional universities want extra funding from the federal government to help country communities and industries to expand and reach their full potential. In a major policy shift, the Regional Universities Network is asking for a $20.5 million allocation from the Regional Development Australian Fund to put its university members “at the centre of strengthening and facilitating regional economic development”. Michael Spence WORKFORCE shortages, training gaps and cost shifting top the list. Peter Coaldrake THE idea of a universities commission has been rejected before. Pot calling rankings kettle black? Universities Australia (UA) has welcomed the early announcement of the 2013 election date on the basis that certainty ends uncertainty. UA also pointed to the focus in the Prime Minister’s National Press Club address on the importance for Australia’s future of `winning the education race’. UA has been working on its own policy “manifesto” for the election period, which will present a united approach, for the first time, on key issues agreed to by the nation’s 39 vice-chancellors. While a push to include greater fee deregulation in it failed to win agreement, the government’s recent dismissal of additional base funding for universities may give new life to the proposal…. [READ MORE]…..
Business and union leaders have backed a Gillard government commitment to put skills and training at the top of a new reform agenda, raising hopes for initiatives in the May budget to expand the workforce. Julia Gillard made the commitment at the inaugural meeting of the National Panel for Economic that heard a warning from Treasury about the need for structural economic change to deal with the higher Australian dollar and a weaker outlook for the global economy…..[READ MORE]….. Following the demise of a proposed joint venture between the University of Canberra and the Canberra Institute of Technology (TAFE) to create a polytechnic, the Australian National University and CIT are set to deepen collaboration. Under a new agreement , the two institutions will maintain existing pathways and look towards opening new pathways from existing courses and co-develop new educational programs, enabling more students to continue their studies and professional development without the need to leave the ACT…..[READ MORE]….. The Commonwealth government has rejected the University of Canberra’s plans topartner with Holmesglen Institute of TAFE to offer degree courses in Melbourne. Apparently Evans was also critical of the Canberra/Holmesglen proposal as there was no TAFE component associated with the degree offering. 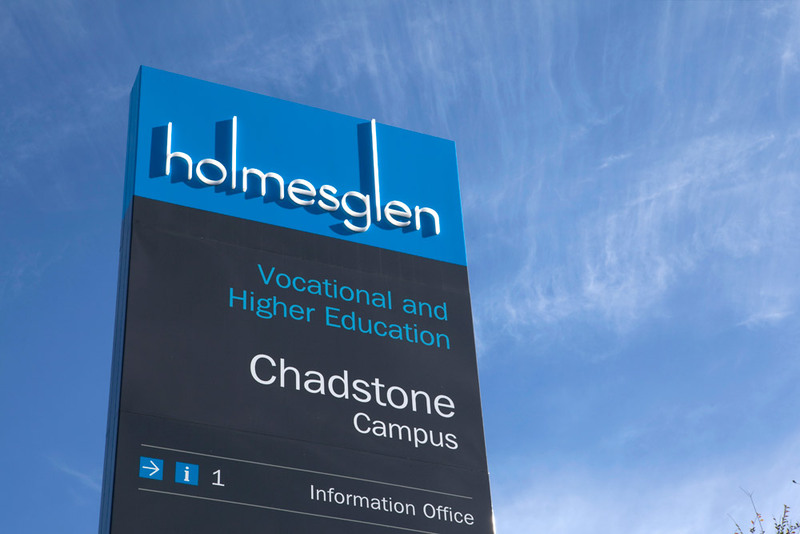 Holmesglen would have essentially been the provider of the three and four year degree programs auspiced by the University of Canberra, rather than providing a pathway from higher level TAFE qualification to a degree…..[READ MORE]….. The University of Western Sydney Branch of the NTEU has expressed surprise at the appointment of Maddocks, a corporate law firm, to negotiate the new academic and general staff enterprise agreements on behalf of UWS Management. Jan Falloon, NTEU UWS Branch President, said the union questions the logic of outsourcing yet another core business of the university to outside contractors, at a time of great hardship within schools and units at UWS…..[READ MORE]….. 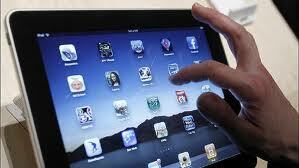 The University of Western Sydney is pushing ahead with its move to hand out iPads to new students this year saying it is part of a curriculum renewal strategy over the next four years. About 11,000 tablets will be distributed in what has been described as one of the largest and most innovative rollouts at an Australian university. Staff will also receive one of the popular devices…..[READ MORE]…..
Staff at the University of Sydney and the University of New England will vote in the next month over industrial action on enterprise bargaining, following successful applications to Fair Work Australia this morning by the National Tertiary Education Union (NTEU). Neither university contested the union’s applications for protected industrial action ballots…..[READ MORE]…..
Victorian TAFEs have asked for new funding streams in this year’s state budget, arguing that the government has ignored its own economic regulator by funding TAFEs on the same footing as private colleges. In a pre-budget submission to Treasurer Kim Wells, the Victorian TAFE Association requested new money to cover TAFEs’ community services obligations and their extra reporting and governance costs as public providers. It also called for the restitution of funding to cover TAFEs’ extra employment costs, arguing that the government had saddled them with a higher wages bill…..[READ MORE]…..
Australia ranks 23rd out of 29 countries for public investment in tertiary education. Evans has also ruled out any increase in fees (student contributions) but, in the absence of Commonwealth funding to meet the perceived shortfall, that’s exactly where the spotlight shifts. 27 January 2013 | While academics feature strongly in the annual Australia Day honours list, some of the distinctions between recipients (who got what) aren’t readily apparent (the “why” of who get what?). And TAFE/VET people barely feature at all. This is the first Scan Main Edition for 2013 but we’ve been posting News Updates through January. You can catch up with January posts HERE. 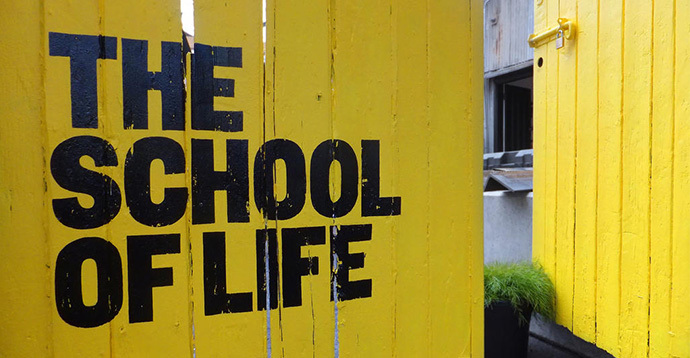 It’s called The School of Life, a place offering books and short courses about how to live wisely and well. Almost five years after it was founded in London by philosopher Alain de Botton, it has opened its second school in a Collingwood warehouse, complete with coffee shop and Readings bookstore. Courses on How to make love last and How to find a job you love have already sold out, while How to have better conversations will be repeated to meet demand. 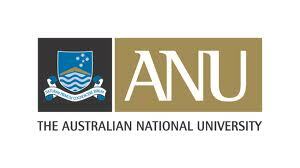 Following the demise of a proposed joint venture between the University of Canberra and the Canberra Institute of Technology (TAFE) to create a polytechnic, the Australian National University and CIT are set to deepen collaboration. ANU and CIT already collaborate in the fields of engineering and science, whereby CIT students who have successfully completed CIT Associate Degrees have continued into internationally recognised degree programs offered by ANU. Under a new agreement (“memorandum of understanding” – MOU), the two institutions will maintain existing pathways and look towards opening new pathways from existing courses and co-develop new educational programs, enabling more students to continue their studies and professional development without the need to leave the ACT. CIT Chief Executive Adrian Marron says the MOU signing is a significant event for education in the ACT. To be associated with Australia’s leading university is an excellent position for CIT. Developments such as this show the commitment to education in the Capital and shows both institutions are responding positively to the contemporary challenges of a new tertiary education era. ANU Vice-Chancellor, Ian Young, agrees the agreement will allow students from a greater diversity of backgrounds to access university education in the ACT. We are very pleased to be able to build on our long and successful relationship with CIT. CIT has a well-deserved reputation for educational excellence and our co-delivered Associate Degree has opened up university study to students who might have thought that university was beyond their reach.